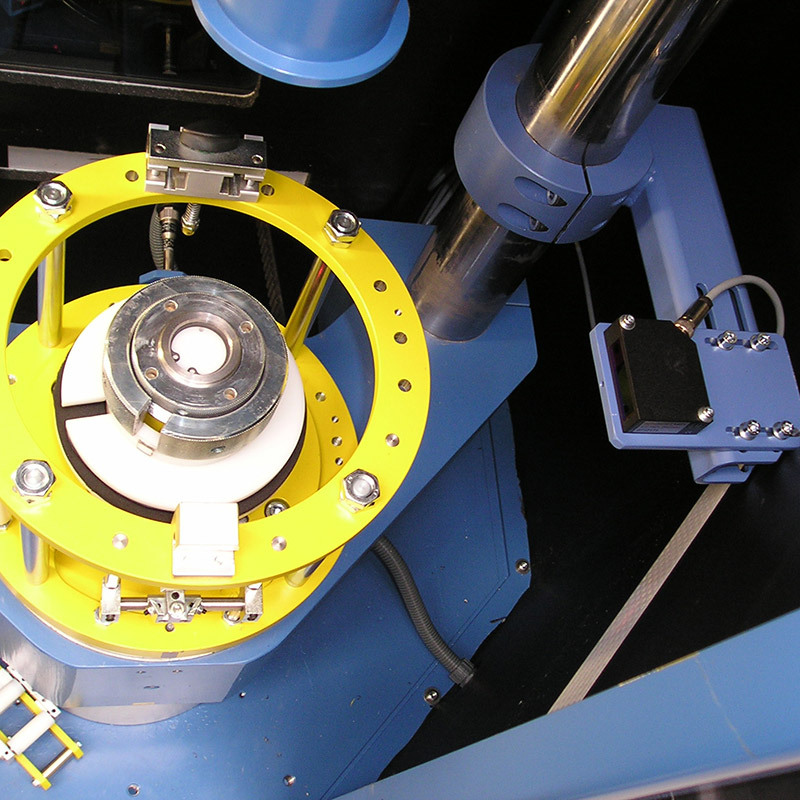 Banding machines are used during the manufacture of cables in order to provide cables with a protective sheath. The wire runs centrally through a roll on which the banding material is coiled. The diameter of the roll must be measured constantly so that the tension of the material always remains constant. The challenges here are the metal bars which continuously cross the measuring range and the different materials for banding which can be matt or shiny.